Opend as "Saskatoon Centennial Auditorium". 2006 renamed "TCU Place" after a corporate sponsor. Reverse Text: "Saskatoon, Saskatchewan. 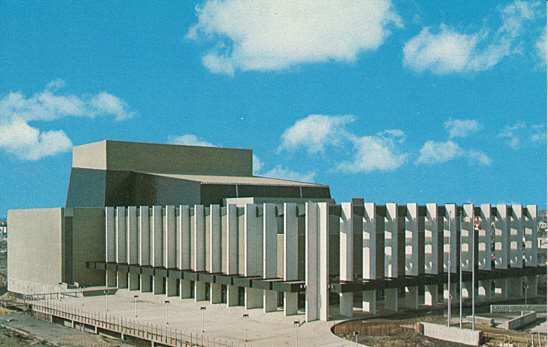 A view of Saskatoon's Centennial Auditorium showing the entire xomplex from a north easterly direction."